Smoke damage is more than the dirty aftermath of a fire in your home or place of business. Complete smoke damage restoration means cleaning all visible signs of soot and smoke discoloration, but it also means eliminating the lingering odor. Because smoke can infiltrate household vents and leave a malodorous and potentially hazardous residue, it’s vitally important to have a smoke damage expert from Archer Restoration Services assess the need for repairs as soon as possible. Family owned and operated Archer Restoration Services cares deeply about its clients, and it shows in the personalized, cordial service we provide. Our services are available 24 hours a day, 365 days a year, and because speed is of the essence when dealing with fire and smoke damage, we can be there within an hour for most jobs. We also offer direct insurance billing, which means our clients aren’t burdened by having to deal with an adjuster. 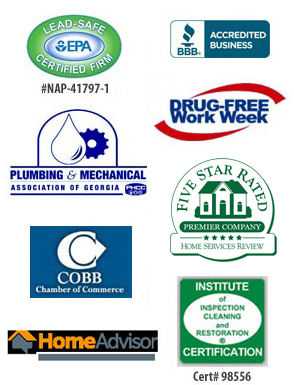 Contact Archer for complete smoke damage restoration service in Woodstock, Norcross, Lawrenceville, Canton, Stone Mountain, Sandy Springs or anywhere else in the Metro Atlanta area. This photo was taken at the site of a home with major fire damage from a lighting strike. 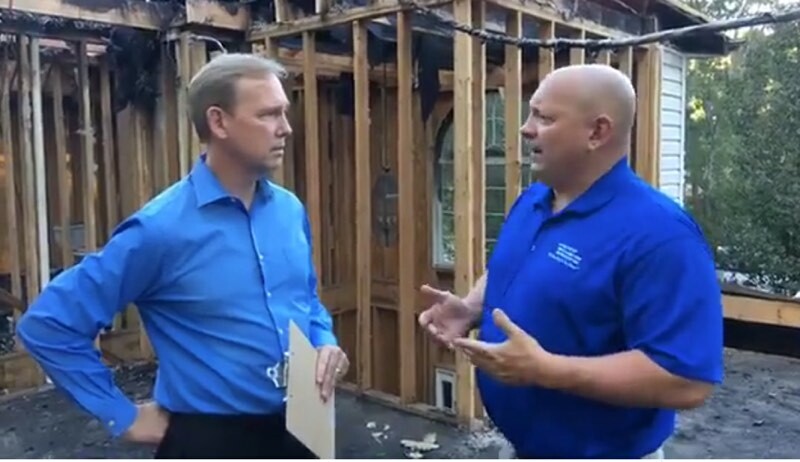 Consumer reporter Dale Cardwell of TrustDale, interviewed Paul, owner of Archer Restoration Services, at the site. Archer Restoration was sent to the home by the homeowner and the insurance company to evaluate the damages from the fire and smoke. Be sure to take photos and video of your home before damages ever occur! It is important to document every room, inside closets and cabinets to be able to show what you had in case an emergency happens.